Stella L. Owens-Murrell, Administrative Law Judge (ALJ), Office of Administrative Hearings (OAH), State of California, heard this matter on November 29-30, 2010, and December 2-3, 2010, in Torrance, California. Student was represented at the hearing by Bruce Bothwell, Attorney at Law. Student’s Mother and Father (collectively Parents) were present for the hearing. Student did not attend the hearing. Torrance Unified School District (District) was represented at the hearing by Sharon Watt, Attorney at Law. Dina Parker, Director, Special Education, was present on all but the first day of hearing. Student filed his Due Process Hearing request on August 6, 2010, and a continuance was granted for good cause on September 9, 2010. At the conclusion of the hearing the matter was continued to December 17, 2010, to permit the filing of written closing arguments. The parties timely filed written closing arguments, at which time the record was closed and the matter was submitted. Offer Student a program and services for the July 2010 extended school year (ESY). Student seeks an order that District provide behavior intervention services from an NPA for 25 hours per week in school and five hours per week at home, plus eight hours of consultation services and nine hours for monthly meetings. In addition, Student seeks compensatory behavior therapy both at home and in school. 1. Student is a six-year-old boy who resides with his parents within the jurisdictional boundaries of the District. Vietnamese and English are spoken in the home but Student’s primary language is English. He qualifies for special education services under the category of autistic-like behaviors. 1 The ALJ has revised the issues without changing their substance, for purposes of clarity and organization of this Decision. The issues were derived from the Due Process Complaint dated August 6, 2010, and the Prehearing Conference Order issued on November 22, 2010, by ALJ Clifford H. Woosley, and as further clarified by the parties at the due process hearing. 2 Student withdrew the following issue for hearing: Whether District denied Student a FAPE in the April 28, 2010, IEP for the 2010-2011 school year by failing to offer speech therapy services sufficient to meet Student’s unique needs. 2. Student enrolled in the District in 2010. At the time of hearing, he attended Lincoln Elementary School (Lincoln) in a general education kindergarten class. Student is mainstreamed 96 percent of the day except for the time Student is pulled out to receive speech and language services. 3. Prior to his enrollment in the District, Parents privately placed Student at El Camino College Child Development Center preschool (El Camino) in the 2008-2009 school year, and at the Crossroads Learning Center, a private preschool, in the 2009-2010 school year. 4. Parents submitted a written request for services to District On March 30, 2009, while Student was attending El Camino, in which they requested a referral for a District psychoeducational assessment of Student. Parents were concerned with Student’s learning and behavior because he had difficulty making friends, did not speak or communicate well, stayed to himself, had difficulty initiating and maintaining conversation, made no eye contact with others, and was very sensitive and shy. Parents requested an assessment to obtain more information about Student’s educational needs, social skills, speech, attention, and motor skills deficits. 5. In response to Parents’ request, District conducted a transdisciplinary preschool assessment of Student on April 14, 2009, and further observation on April 21, 2009. This was the first District assessment ever conducted of Student. The assessment team included Susan Lee, school psychologist employed with District for 15 years and with 20 years experience in special education. Jennifer Fisher, MA ECSE, Launch program specialist and special education teacher at Launch Preschool (Launch) employed with District for 13 years and was a credentialed special education teacher for 10 years; Malia Miyamoto, MA CCC-SLP, Speech/Language Pathologist, and Danielle Colin-Wiertz, MA ASSISTT teacher for District. Ms. Lee supervised the team. 6. ASSISTT is an acronym for Autism Spectrum Services and Inclusion Support Torrance Team. The team is staffed by behavior analysts, credentialed special education teachers, and paraeducators who provide inclusion support and direct services for children with autism and children with other moderate to significant disabilities who are included in District’s general education classrooms. ASSISTT staff is required to be trained in research-based educational, behavioral, and social approaches, including ABA, Discrete Trial Training (DTT), and Social Skills Training. 7. The instruments used for the transdisciplinary preschool assessment included a Developmental Play-Based assessment, which was an adaptation of the Carolina Curriculum, Revised Brigance Inventory of Early Development, the Peabody Developmental Motor Scales-2, and the Rossetti-Infant-Toddler Language Scale. Additional tests the team administered included the Preschool Language Scale-4 (PLS-4), Clinical Assessment of Articulation and Phonology (CAAP), Childhood Autism Rating Scale (CARS), Parent interview, health assessment, and records review. All assessment data prepared by the team was compiled and reviewed by Susan Lee who issued the Transdisciplinary Assessment Report on April 29, 2009. Except for ASSISTT observations of Student at his school of attendance, the assessment was conducted primarily at Launch. At the time, Student was four years, 11 months old, was attending El Camino, and was not receiving special education services. 8. The assessment team conducted behavioral observations of Student in Building B at Launch. The assessments overall were conducted over a period of two and one-half hours. The report noted that the team used tangible, as well as verbal reinforcement, to help keep Student engaged in the tasks presented to him. Student’s attention during the assessment was appropriate for the setting. He gave eye contact to the assessors during the assessment. He completed all tasks presented to him during the assessment. If the task was not a preferred task he would politely state “no thank you” and reach for reinforcement materials or await further instructions from the assessor. Student demonstrated some noncompliant and rigid behaviors with the outside and gross motor portions of the assessment. For example he became upset when prompted to do activities such as hopping, running, skipping, jumping, and balancing, as well as tricycle riding and ball play, some of which he tried once but would not try them as requested. 9. The report noted that in the area of visual perception Student was able to complete a 4-piece interlocking puzzle. In the area of concept development he demonstrated skills between the 48 to 60 month age levels. Student’s preacademic skill was assessed in the area of general knowledge, number concepts, shape identification, reading readiness, and color identification. With respect to Student’s general skills he was able to identify square and round objects, and sort objects by a minimum of three named categories. He was also able to categorize numbers, things to read, and fruits/vegetable by pointing to pictures. In number concepts, Student was able to hand “one,” “two,” and “one more,” to the assessor. He rote counted to 39, counted 16 objects in a line, handed “four” when requested, was able to recognize numbers 1-5, and was able to recognize a repeating pattern and continue the pattern. In shapes recognition, Student was able to match, point, and name all four basic shapes, as well as heart, diamond, and star. He showed similar strengths in color recognition as he was able to name 12 colors. Regarding reading readiness, Student was able to match letters AHOUJ and the letters in his name. He recited the alphabet song as well as recognizing all upper case letters in the alphabet. He could also print his own name without prompting. The report noted overall Student demonstrated preacademic skills between the 48 to 65 month age levels with some skills as high as 70 to 73 month skill levels. 10. In the speech and language assessment Student’s receptive and expressive language skills were evaluated using the Preschool Language Scale (PLS-4), parent report, informal observation, and an informal language sample. The results indicated that Student’s scores compared to four-year-old peers were as follows: Auditory comprehension-standard score of 87; Expressive communication-standard score of 74; Total language score-standard score of 79. Overall, the report noted that Student demonstrated a moderate receptive language delay and a significant expressive language delay when his scores were compared to five-year-old peers. An informal language sample was collected to analyze Student’s vocabulary, grammar, and sentence structure. According the PLS-4 and informal observation, the report noted that Student had difficulties answering questions using longer sentence structure. While answering object function questions, Student listened to the question and answered each question by saying “Your noun” (e.g. Question: “What do you do with a coat?” Answer: “Your outside”). Also, when given a two choice question (e.g., “Is this a__ or a__?”), Student would sometimes repeat the second option in the question, instead of stating the correct answer. The report noted further that based upon these observations, Student had difficulties understanding questions appropriately. 11. The assessment team observed Student at El Camino on April 21, 2009. Ms. Lee was accompanied by Ms. Fisher, Ms. Miyamoto, and Ms. Colin-Wiertz. The observation lasted one hour. The examiners entered the room at 10:30 a.m. Student was sitting on the floor playing alone with a magnetic toy. The other children in the room were seated engaged in a teacher directed activity. While playing with his toy he quietly made comments to himself. A girl approached him and asked him “who made this?” Student did not respond and continued to play with his toy. Several children joined him on the floor and played with the toys. Student did not react or respond to the children and continued to play and vocalize quietly to himself. In another instance, another boy took a toy next to Student and he did not respond. He also stopped and watched other pupils engage and interact with each other but he continued to play alone with his toys. Later another boy sat next to Student and told him “Make me a box.” Student responded “Okay.” Student continued to make the design and vocalize to himself. The boy watched him and showed him what to do. Student did not use his words to ask questions or ask for help from the boy and showed the block design to his friend without vocalization. The boy renewed his request and Student responded “Okay,” but a similar pattern of interaction continued for the next 20 minutes. The team observed a few more incidents of this type with Student. During circle time while singing “If you’re happy and you know it,” Student imitated the hand movements of the song after his peers and his teacher, but did not use the words to sing along with the class. Ms. Lee’s testimony at hearing was consistent with the team’s observations of Student at El Camino. 12. The report summary noted that with respect to pragmatics based on standardized measures, informal observation, and parent report, Student did not use his words to initiate and maintain interactions with his peers, he did not describe various actions of others using verb+ing, and did not answer various ‘wh’ questions appropriately. Overall, the report concluded that Student demonstrated a moderate delay in his expressive language skills, a delay in the area of pragmatics, and a mild delay in the area of phonology when compared to same-age peers. 13. The assessment team also obtained information about Student’s play and social skills, self-help skills and daily living skills from parent report. Parents reported that Student liked to roll cars and trains and play computer games. He demonstrated functional and dramatic play but was not yet playing with figures or spontaneously engaging in pretend play. Student’s social play was wanting because Student had a history of avoiding interaction with peers. When given certain play opportunities Student appeared to want to make friends but did not know how to do it. However, with adults he gave items upon request, shared, showed affection, and used “please and thank you” appropriately. With familiar peers, he joined in play, imitated peers, spontaneously shared, showed a preference for friends, and played in group games, but did not engage in much language with them. He avoided new peers and took turns most of the time when reminded. Parents also reported Student had relatively independent self-help skills with some assistance needed in certain areas. 14. The CARS rating scale was given because it was used to identify individuals with autism. Student’s father was the respondent for the rating scale. He reported that Student had significant delays in social skills. Father described Student’s personality as “shy and scared,” especially with new environments, people, and new routines. He needed a lot of preparation and priming to do a new activity. He was delayed in both Vietnamese and English and his attention span was short, which caused him to lose focus when Father was trying to teach him language or skills. Father also reported that Student was very smart and a visual learner. He loved to look at books and learned alphabet letters on his own. At preschool he loved to sit alone in a corner and look at a book. 15. The ASSISTT assessment included an observation of Student at Launch on April 14, 2009, and the preschool observation at El Camino on April 21, 2009. In addition, Father and preschool staff were interviewed. The report noted that during the assessment Student had appropriate eye contact with the assessor. Joint attending was observed several times, particularly when Student attempted to access reinforcing items. Student responded well to high fives, tickles, verbal praise, and social overtures during play-based activities. Student was observed pushing the assessor’s hand away as if dismissing any potential assistance. During the preschool observation Student was observed to occasionally and briefly interact with selected peers and materials during magnetic shapes building and abacus manipulation. He acknowledged preferred peers with eye contact, a smile, a gesture, or comments, such as “OK.” Student was also observed to sporadically address staff about peers’ activities or behaviors (e.g. making a complaint in regard to a peer stepping on his finger). The preschool staff reported Student observed peers passively rather than actively interacting with them. He gravitated toward quiet peers. Student was observed commenting to himself rather than verbally addressing his peers during floor play. In play and preacademic skills, the report noted that Student did well in all areas. During the preschool observation, Student was building on the rug when District assessors arrived for observation. Student remained involved in the activity on the rug. When the activity was ended he migrated to the library where he read books by looking at the pictures. At some point a female peer waived a puppet in his face. Student continued reading as if unaware of his peer’s actions. 16. The ASSISTT assessment and observation also included evaluation of Student’s “Learning to Learn” behaviors which included sitting, attending, imitation, compliance, turn-taking/sharing, learning from prompts, and joint attending. Student was found to have good sitting skills throughout the entire assessment. During observation Student sat during unstructured play time and sat appropriately and independently during circle time. Student required occasional verbal redirection to complete novel and/or non-preferred tasks and he appeared to favor attending to objects rather than engaging his peers. Student’s joint attending was generally good, particularly during non-structured preferred play activities. The ASSISST assessor summarily recommended to Parents a referral to the Harbor Regional Center to rule in or out an autism diagnosis. 17. Ms. Lee compiled and reviewed the assessment team’s evaluations and summarized the results. She concluded that Student’s pre-academic/academic skills, fine motor skills, and self-help skills were at age level or above. He had age appropriate receptive language skills, and a moderate expressive language delay compared to same-age peers. He was mildly delayed in phonology and pragmatics. His gross motor skills were moderately delayed and his play and social skills were significantly delayed. He demonstrated most “Learning to Learn” behaviors independently or with minimal prompting. The report concluded that, because of Student’s limited oral language for appropriate communication, his limited play and social skills and hyperlexia,3 Student met the eligibility criteria for special education services under the disability category of autistic-like behaviors. 18. District convened an initial IEP team meeting on April 29, 2009. Based upon the findings and recommendations in the Transdisciplinary Assessment Report District determined Student was eligible for special education services under the disability category of autistic-like behaviors. The IEP team identified Student’s unique need in the areas of expressive language, pragmatics, articulation, play skills, and social skills. The IEP team developed goals and objectives in each area of need. The IEP offered for the period from April 29, 2009 to April 29, 2010, placement in a general education preschool collaborative class four days per week at Launch Preschool and designated instruction and services (DIS) as follows: (1) Individual speech and language therapy (LAS), provided by a NPA once per week for 20 minutes; (2) Group LAS provided by a NPA once per week for 20 minutes; (3) Group LAS provided in a classroom setting once per week for 20 minutes; (4) Group behavior intervention services provided by a NPA three times weekly for 20 minutes a session for a total of 60 minutes; (5) Group behavior intervention services provided in the classroom twice weekly for 15 minutes a session totaling 30 minutes per week; and (6) ESY from June 29, 2009 to July 31, 2009. The IEP notes stated that services from September 2, 2009 to April 29, 2010, would be determined at a kindergarten transition meeting to be held in the first week of June 2009. Parents disagreed with the offer and refused to consent to the IEP. 19. Parents thereafter sought a further assessment of Student’s deficits and his readiness for school. Parents referred Student to Betty Jo Freeman, Ph.D. for an independent assessment of his cognitive and social adaptive functioning and to obtain further recommendations for intervention. Dr. Freeman is a nationally known expert in autism, whose curriculum vitae documents her work for over 38 years in the field of diagnosis, evaluation, and treatment of autism. Dr. Freeman has published numerous publications in the field of autism and is a member of various professional associations, including the Advisory Board on Autism of the California Department of Developmental Services. 20. Parents reported to Dr. Freeman that Student had problems in appetite and food selection, peer relationships, language abilities, inattentiveness, motor skills and self-stimulatory behaviors. Dr. Freeman assessed Student on May 21, 2009. She administered the Wechsler Preschool and Primary Scales of Intelligence – Third Edition; the Autism Diagnostic Observation Schedule – Module; the Vineland-II Adaptive Behavior Scales; Gilliam Autism Rating Scales – Second Revision; Social Skills Intervention Scale; and the Behavior Rating Inventory of Executive Functioning – Preschool. Student was five years old at the time of the assessment. 21. Dr. Freeman issued a Psychological Assessment Report in which she concluded that Student met the criteria for Autistic Disorder under the Diagnostic Statistical Manual IV, 1994 (DSM-IV). The report also confirmed that Student met the educational criteria for special education services under the category of autistic-like behaviors. The report noted and confirmed District’s assessment that Student’s academic/preacademic skills were at or above age level and that his primary area of deficit was in the area of social interaction where he was significantly below age level in social skills, social communication, expressive and receptive language, and speech. Dr. Freeman recommended (1) a complete behavior assessment to determine the level of services Student needed in an intensive applied behavior analysis (ABA)4 program to be provided in a second year of preschool because he was not yet ready for kindergarten; (2) intensive programming focused on social and play skills and speech; (3) a speech and language assessment; (4) general guidelines for development of Student’s program including intensive instruction for a minimum of a full school day five days a week for at least 25 hours, repeated planned teaching opportunities with a one-to-one aide initially in small group instruction to facilitate positive social interaction with transition into a general education classroom setting. The report recommendations also offered an approach to proposed goals and objectives geared toward developing Student’s readiness skills for learning, with additional one-to-one assistance, by the following: (1) learning to listen and follow instructions the first time given, (2) learning to observe and imitate what is appropriate versus inappropriate conduct, (3) provision of a social skills program specifically developed for Student to include appropriate communications and social interaction such as responding to and initiating with peers, taking turns, and appropriate play skills. A final recommendation was made to Parents to solicit regional center services for in-home ABA training for Student. 4 ABA, is a form of treatment developed by Ole Ivar Lovaas, Ph.D., who was a clinical psychologist, considered to be one of the fathers of applied behavior analysis (ABA) therapy for autism through his development of the Lovass technique, and the first to provide evidence that the behavior of autistic children can be modified through teaching. It is an early intervention therapy designed for children diagnosed with autism or related disorders. The technique consists of an intensive behavioral intervention which is carried out early in the development of autistic children. It involves discrete trial training (DTT), breaking skills down into their most basic components and rewarding positive performance. The Lovaas approach is a highly structured comprehensive program that relies heavily on DTT methods. Within ABA therapy, DTT is used to reduce stereotypical autistic behaviors through extinction and the provision of socially acceptable alternatives to self-stimulatory behaviors. Intervention can start when a child is as young as three and can last from two to six years. 22. In June 2009, Parents contacted Harbor Regional Center for services and Student became eligible for Regional Center services which were provided five hours per week in home. Parents also contacted Behavioral Education for Children with Autism (BECA) in June 2009, for an evaluation of services and to provide privately funded behavior therapy to Student. Parents agreed with Dr. Freeman’s findings and recommendations and kept Student enrolled at El Camino for the remainder of the 2008-2009 school year. 23. District notified Parents of a June 6, 2009 IEP meeting for the purpose of planning Student’s transition from preschool to kindergarten at Lincoln Elementary for the fall 2009. Parents were concerned for Student’s safety and his still delayed social and communication skills and they cancelled the June 2009, IEP meeting to discuss Student’s program and kindergarten placement for the 2009-2010 school year. Names 10 to 11 colors. Shares and waits for turn. 25. The Fast Facts contained an evaluation of Student’s strengths, communication skills, pre-vocational skills, motor skills, self-help skills, pre-academic skills, sensory needs, and play and social skills. The Fast Facts summary in play and social skills showed toy play was at the 18 month level and social play was inconsistently at parallel play ranging from 1830 months. 26. BECA is a NPA certified by the California Department of Education to provide behavioral services to special needs children. BECA assessed Student to determine the level of behavior services needed by Student. The assessment consisted of interviews with Mother, review of District’s April 29, 2009 Transdisciplinary Assessment Report and IEP offer, Dr. Freeman’s May 21, 2009 Psychological Assessment Report, observations and interactions with Student in the home on June 5 and 10, and August 10, 2009, and at school on June 16 and August 13, 2009, and completion of the Functional Assessment Screening Tool (FAST). The FAST is a rating scale based upon parent response to questions that assessed challenging behaviors, language and communication, socialization and play, preacademics/academics, and self-help. 27. BECA issued a Behavioral Observation Report dated August 14, 2009, signed by Gregory M. Elsky, Psy. D., Board Certified Behavior Analyst (BCBA), and Julie Gomez, M.A., BCBA, Associate Directors for BECA, Laurie Eisenberg, Ph.D., Supervisor of Behavioral Education Services, and prepared by Laurel Opperman, Educational Consultant for BECA. 28. The report noted in the area of challenging behaviors that per Mother’s report Student engaged in, on average, two-to-three tantrums per week. Tantrums included screaming, crying, and walking away. The onset of tantrums occurred when Parents were leaving the house or access to a preferred activity was denied. No tantrums were observed by BECA assessors during the assessment either in the home or at school. The report found the most significant challenging behavior displayed during observations was not tantrums but Student’s non-responsiveness when asked questions or given directions by BECA assessors, his teachers, and peers. Student also required multiple verbal prompts to respond to assessment items and needed redirection from assessors to attend to tasks that were presented to him. Regarding language and communication the report noted that Student displayed both receptive and expressive language delays which could not be quantified by the assessors. 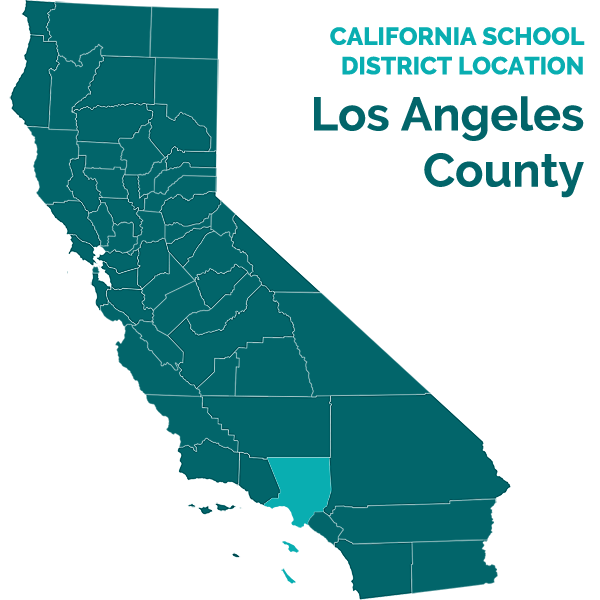 In the area of socialization and play the assessor’s home and school observations were consistent with the District’s Transdisciplinary Assessment and Dr. Freeman’s Psychological Assessment, which both reported social interaction as Student’s primary area of deficit. In addition, in the area of pre-academics, Student demonstrated an understanding of basic pre-academic skills. Student was toilet trained and had sufficient self-help skills but needed some assistance with various self-care tasks. 29. BECA recommended a behavioral education program for Student of 32.5 hours per week supervised by a behaviorist with expertise in ABA consisting of the following: (1) Attendance in a general education program for up to 3 hours, 5 days per week with the assistance of a one-to-one aide, (2) participation in a 15 hour per week behavioral program in the home/community setting, (3) 11 hours per month of consultation to supervise Student’s behavioral program, and two additional hours per month of parent training, (4) 11 hours per month for three aides to attend consultation meetings, and (5) provision of behavioral program services for six months followed by an assessment to determine the need for continued services. Self-Help Skills (Goal 21-Increased Variety of Diet, Goal 22-Teeth Brushing). 31. At hearing, Mr. Elsky explained that he supervised Laurel Opperman in the assessment and report preparation. Ms. Opperman observed Student three times in the home and at twice at school before writing the assessment report. Mr. Elsky however, had only observed Student at home and not in school, around his peers, or at play. No functional analysis assessment was conducted and no standardized tests were administered. 32. Mr. Elsky further explained that he is a registered psychiatrist but was not yet licensed to practice psychiatry. He is a board certified behavior analyst with more than 15 years of experience in working with children with autism. He has designed behavior programs and trained staff and he is currently Associate Director at BECA. His job duties at BECA included overseeing day-to-day operations for BECA offices State-wide, supervising 70 BECA staff members 50 to 60 percent of the time, and managing his case load, consisting of two cases, 40 percent of the time. Student was not one of his cases. BECA provides behavioral services based on the ABA model with therapies administered both in the home and at school. The direct services are provided by educational consultants who have bachelor of arts degrees (B.A.) or are working toward a B.A. degree. In order to provide the services, BECA staff conducts a functional analysis assessment of the clients’ behaviors and develops individual programs and treatment strategies based upon ABA with the goal of changing the behaviors. All decisions for services are based upon data which is collected daily and analyzed. The individual programs are supervised by credentialed staff members with master’s degrees or BCBA certifications, who design protocols for the educational consultants to implement. Team meetings including clients’ parents are held monthly and progress reports issued. Mr. Elsky could not name or describe the credentials or level of experience of the educational consultants (BECA aides) assigned to Student’s case. Nor did he describe the direct services BECA aides provided to Student in school. 33. For the 2009-2010 school year, Parents relied on Dr. Freeman’s recommendations and BECA’s assessment and elected not to enroll Student in a District school. Parents placed Student at the Crossroads private preschool program (Crossroads) in August 2009, for the 2009-2010 school year. 34. On August 26, 2009, BECA began providing services to Student at home and at school. BECA assigned three BECA aides to implement Student’s program. Student received direct behavior intervention services at the rate, on average, of 35 hours per week. BECA provided services at Crossroads on the average of 22.5 hours per week and in-home an average of 12.5 hours per week. BECA also provided 11 hours of supervision/program design per month. 35. On December 18, 2009, BECA issued a Quarterly Report for the period August 26, 2009 to November 30, 2009. The report was written by Laurel Opperman under Mr. Elsky’s supervision. As of the date of the report, Student had made substantial progress on all of his goals. He demonstrated increases in vocabulary, his ability to respond to instructions, and his interest in forming peer relationships. Student met 21 of the 22 goals, including his four month benchmarks in language and conversation skills, and four out of five benchmarks in social play. Student continued to have difficulty in language and socialization. He still preferred self-play and needed prompting to play with others. BECA aides worked on Student’s social interaction in-home by role playing with adults and transferring the skills learned to his peers at school with priming and prompting by his aides. 36. Though no new data was collected on goals met by Student, BECA continued to report the goals and proposed five additional goals for the 2009-2010 school year in the categories of requesting information, giving instructions, cooperative play, maintaining conversations, question discrimination, and expanding play. Mr. Elsky explained that the met goals were continued until a new IEP was convened to allow BECA to propose new goals. He was not aware that Parents had never consented to the District’s April 29, 2009, IEP offer. BECA also generally recommended continuation of behavior intervention services for Student. Despite Student’s progress documented by BECA, which Mr. Elsky described at hearing as “excellent,” he believed Student required the same level of services as proposed in BECA’s initial assessment. 37. On December 18, 2009, District convened an amendment IEP team meeting to review assessments, discuss Student’s transition to kindergarten, and to amend the April 29, 2009, IEP. Those in attendance included Mother; Ms. Fisher; Tami Dowgiewiscz, Lincoln program specialist; Susan Weiner, Learning Center teacher; Diane Konishi, general education teacher; Mandy Juarez, District ASSISTT behavior analyst; a speech and language pathologist, a counselor, and a principal. The Lincoln program specialist described the kindergarten classroom setting, hours of attendance, class size and support that could be offered Student. Mother expressed her concerns for Student’s lack of safety awareness. The IEP team reviewed and discussed the K Checklist and Fast Facts. The IEP team also reviewed and considered Dr. Freeman’s Psychological Assessment Report; BECA Behavioral Observation Report dated August 19, 2009; the April 29, 2009 IEP; and a Speech Pathologist Report. Based upon this review, the District members of the IEP team concluded that Student showed mastery of numerous essential skills and was ready to attend kindergarten in the 2009-2010 school year. The amendment IEP offered placement in a general education kindergarten classroom, behavior services, specialized academic instruction, speech and language, and paraeducator supports during transitions and to facilitate social skills. Mother disagreed with the recommendations and refused to consent to the amendment IEP offer. 38. In a separate proceeding from the matter now being decided, Parents filed a Request for Due Process and Mediation (complaint) on August 19, 2009 disputing the April 2009 IEP. Pursuant to the terms of a Settlement Agreement reached December 26, 2009, in the event Parents refused to consent to the next annual IEP to be held in April 2010, Student’s “stay put” placement for the fall of the 2010-2011 school year would be a District general education kindergarten classroom with NPA behavior support. District also agreed to fund a number of hours of school and home-based NPA behavior services provided to Student by BECA in the spring semester for the 2009-2010 school year. These hours were also not part of the April 28, 2010, IEP offer. The “stay put” terms are not part of the FAPE offer in dispute here and are therefore not relevant to any determination of the issues for hearing in this case. 39. In March 2010, Ms. Fisher, Ms. Dowgiewiscz, Ms. Juarez, Ms. Weiner, and Ms. Lee observed Student at Crossroads in preparation for Student’s annual review IEP team meeting on April 28, 2010. 40. Ms. Fisher testified that she observed Student at Crossroads to take data for the IEP team meeting and to update the K Checklist she had previously prepared. She also reviewed the BECA progress report of February 4, 2010. At Crossroads, she saw circle time, snack and outside time. She did not remember how long she observed at Crossroads. She saw that Student had very little difficulty communicating with peers in the classroom and was not facilitated. He participated in circle time during morning routine, singing songs, and bible time. She also saw Student transition from rug time to snack time. Student was able to do these classroom activities without assistance. There were no aides in the classroom during her observation because they were reviewing data. Outside the classroom a BECA aide was observed redirecting Student to go join the other students to play. On the play ground he needed aide support to redirect him. The aide did nothing else. She updated her K Checklist by interviewing BECA staff. Based upon BECA staff reports the K Checklist showed Student had mastered skills in all areas except following verbal instructions, turn taking, and attending to activities, which were still areas of concern. She explained that this tended to show that Student was still having trouble attending to class activities meaning he still needed prompting. However, overall Student showed sufficient mastery of skills to enter kindergarten. Ms. Fisher also updated the Fast Facts for Student based upon comments by BECA staff and her observation and noted overall improvement in all skill areas. 41. Ms. Weiner has been employed with District for 11 years and has a Special Education Teaching Credential. She has been the Learning Center teacher for past five years. The purpose of Learning Center is to work on sensory issues and academics. The Learning Center provides support services to elementary school students on a push-out or push-in basis in language arts and mathematics. Ms. Weiner’s duties also included testing students and collaborating with general education teachers. She observed Student at Crossroads in March 2010, to observe Student’s social interactions and ability to follow routines. She observed Student for one and one-half hours. She also spoke to teachers at Crossroads. She saw Student in the sand area at recess. In the sand area, she saw a peer next to Student had built a sand tower, and that Student and peer exchanged a few comments between them. She observed Student transition to the classroom carpet activity. She also saw him choose a center activity and watched him doing an art activity. She observed a BECA aide assist him with the art project. On the day of her observation there were approximately 15 students in the class with one teacher and one assistant. She saw no noncompliance or behavior issues and Student appeared to be familiar with the class routine. 42. Ms. Dowgiewiscz, was a District program specialist who had been employed by District for three years. She observed Student at Crossroads in preparation for the annual review IEP one day in March 2010, for one hour in the morning. On the day she observed there were 20 children and three adults, including Student’s BECA aide in the classroom. She observed Student in three main activities: tracing letters, transitioning to get his book independently, and independently singing songs. He required some assistance to get up from the rug during rug time. She saw Student’s aide intervene once and return to her seat. She did not see him at social play or during extended interaction with peers. However, Ms. Dowgiewiscz did see him interact in words with another student to help him find a page they were working on and Student appeared to be sufficiently independent, on task and able to participate in classroom activities. 43. Ms. Juarez has been employed with District since 2006. She is a Board Certified Associate Behavior Analyst (BCABA) which means she has not completed her master’s degree and must be supervised by a BCBA. She attended the University of California Los Angeles (UCLA) and was a teaching assistant to Dr. Lovaas. She was employed with the Lovass Institute for Early Intervention from 2000-2006. She was trained to provide one-to-one services in school and at home. She supervised therapists and class aides providing school and home-based services to clients from the Lovass Institute. Her duties for District are to supervise the implementation and development of behavior programs for individual support for students with autism. This includes collecting, analyzing, and maintaining data, attending IEP meetings, writing goals, consulting on goals, developing strategies and implementing goals. She also supervises and is responsible for overseeing ASSISTT school personnel and trains District teachers, and District paraeducators in ABA techniques. 44. Ms. Juarez observed Student at Crossroads in preparation for an April 28, 2010 annual review IEP team meeting in order to assess Student’s areas of need, to develop appropriate goals, and to have information to recommend appropriate services. The observation took place for one hour on the playground, in a classroom setting, a group setting, rug time, and group circle time; however, she did not see Student at play. A BECA aide was present. In the classroom the aide was seated close to Student so they were in sight of one another. The BECA aide used gestures and verbal and physical prompts with Student. Student was able to communicate with the teacher, and interact with his one-to-one aide who would occasionally prompt him. He was appropriate in the classroom as compared to other students in the classroom. Student was involved, engaged, on task and required no additional support or token economy system to access his education. 45. Anthony Alberding testified at hearing about BECA services provided to Student in the spring of 2010. Mr. Alberding has been an educational consultant for BECA since 2008. He is a BCBA with at least 10 years of experience in the field of behavior intervention and working with children with autism. He was assigned to oversee Student’s case in February 2010. By this time Student had been receiving BECA services for approximately five months during his attendance at Crossroads. BECA assigned two aides, as Student’s one-to-one aides. The one-to-one aide(s) accompanied Student to his class and would prime Student before playtime and his interactions with his peers. The aide(s) provided prompts to facilitate interaction with other students in the classroom or at play during lunch and recess. Mr. Alberding met with the aides and Parents in team meetings to discuss Student’s program and services and to implement further strategies. The aides collected data which he reviewed and included in quarterly progress reports which he prepared on February 4, 2010 and April 23, 2010. He did not work directly with Student on a day to day basis but observed Student at Crossroads in preparation for BECA’s quarterly reports. None of the BECA one-to-one aides who provided direct services to Student testified at hearing about the specifics of the ABA therapy and techniques they applied in Student’s program and Student presented no evidence of their qualifications. 46. The April 23, 2010 quarterly report noted that as of March 2010, Student met 24 out of 28 goals developed by BECA. Student’s receptive and expressive identification skills had increased in all targeted areas including identifying by feature, function, and class, categories, prepositions, actions, pronouns, and emotions. The data showed an improvement overall in the area of socialization and play. He was able to participate in group learning activities such as circle time, with little or no prompts. During circle time he was able to fully participate in songs and other group activities when he wanted to. He showed an increase in his play repertoire, the length of time in sustained engagement in play, the quality of peer interactions as well as decreased rigidity in play. Previously, Student’s play was limited to Legos or Transformers. The report noted Student continued to demonstrate difficulty in transitioning with his peers from one type of play activity to another and poor communications in the area of pretend play, difficulty in fluency, and responding to “wh” questions appropriately. At the time of this report BECA was providing Student a total 22.5 hours of behavior services (including five hours of home-based services) and an additional 10 hours per month of supervision and program design. NPA Goal 01-By April 2011, when presented with a situation in which [Student] had previously experienced an aversive outcome, [Student] will demonstrate tolerance of the situation by not refusing to engage in subsequent similar situations/activities in 80 percent of opportunities across two consecutive weeks as measured by formal data collection. NPA Goal 02-By April 2011, when engaged with play activities with peers, and those peers transition from one play activity to the next (e.g. from chase to soccer), [Student] will independently transition with his play group without adult prompting in 80 percent of opportunities across two consecutive weeks as measured by formal data collection. NPA Goal 03-By April 2011, while engaged in preferred activities, [Student] will respond to the first occurrence of his name being called by peers and all familiar adults in 80 percent of opportunities across two consecutive weeks as measured by formal data collection. NPA Goal 04-By April 2011, [Student] will correctly respond to questions and instructions that require accounting for the visual perspective of others (e.g. “put the bear where you and I can see it, but where your brother is not able to see it”), in 80 percent of opportunities across 3 consecutive observations as measured by formal data collection. NPA Goal 05-By April 2011, during play activities with peers, [Student] will independently tact his own play behavior in order to inform peers as to what his play behaviors represent at a rate of, on average, at least one time per every five minutes of play across two consecutive weeks as measured by formal data collection. NPA Goal 06-By April 2011, in natural settings, [Student] will demonstrate appropriate use of pronouns in 90 percent of opportunities during 30 minute observations across two consecutive weeks as measured by formal data collection. NPA Goal 07-By April 2011, [Student] will spontaneously make requests for different verbal information using the “wh” questions who, what, when, where, why, and how at least five minutes directed towards a peer in a 60 minute time sample. NPA Goal 08-By April 2011, [Student] will correctly respond to all ‘wh’ questions, what, when, where, why, from a peer in 80 percent of opportunities during 30 minute observations across two consecutive weeks as measured by formal data collection. NPA Goal 09-By April 2011, [Student] will independently join a conversation his peers are having at school by making at least one like statement and asking one question (statementstatement-question) on 80 percent of opportunities across 3 consecutive weeks. NPA Goal 10-By April 2011, when asked, [Student] will give directions, instructions, or explanations as to how to do something or how to participate in an activity for 15 activities (i.e., how to play a game, draw pictures, make a snack, brush teeth, etc.) with 80 percent accuracy during contrived situations. 48. The BECA Report recommended placement in a general education kindergarten class setting with one-to-one aide trained in ABA principles and techniques throughout the day. BECA further recommended that Student receive five hours of additional home-based behavioral education services with structured opportunities to learn communication and socialization skills which could be readily applied to school settings. BECA also recommended an additional eight hours of consultation per month and nine hours per month for bi-monthly team meetings. 49. District convened Student’s annual IEP team meeting on April 28, 2010. Those in attendance included Parents, Julia Gomez and Mr. Alberding from BECA, Ms. Juarez, Ms. Dowgiewiscz, Ms. Weiner, Ms. Lee, and a general education teacher, speech pathologist, and school psychologist. Student was one month short of his sixth birthday and was still attending Crossroads at the time. The IEP team discussed the preschool classroom observations and BECA progress reports. The IEP team confirmed Student’s preschool teacher’s report that Student was at grade level, fit-in with his class, could interact with peers and follow simple directions. The IEP team also confirmed the teacher’s report that at times Student needed prompting to follow classroom routine. Mother expressed her concerns that Student still had significant communication deficits and needed assistance in developing his self-help skills. 50. Mr. Alberding presented the BECA April 23, 2010 Progress Report in which it was established that Student had met 24 out of 28 goals. He noted areas of concern including Student’s failure to respond to his name when in the midst of a preferred activity or in the community, his difficulties with transitions with peers during play, difficulties communicating with peers in play, and his fluency of language. He provided the team with BECA’s proposed goals and recommendations. Mr. Alberding further recommended that BECA and District meet for a 30-day review in the fall 2010 semester to review data and develop a systematic plan to fade out Student’s one-to-one support. The team discussed BECA’s proposed goals only briefly because the meeting start time was delayed by Parents’ late arrival and the team ran out of time. The IEP team advised Mr. Alberding and Parents they would review the proposed goals and respond to BECA in writing. 51. The IEP team identified Student’s areas of need in reading comprehension, writing, mathematics, pre-vocational, pragmatics, language, articulation, play, and interactions/initiations. The IEP team reviewed and considered BECA’s progress report, proposed goals and recommendations. The IEP team developed goals in all areas of need. The goals consisted of four goals written by Learning Center teacher Ms. Weiner in reading comprehension, writing, mathematics and pre-vocational. In addition, three speech and language goals were written in pragmatics, language, and articulation. Ms. Juarez from the ASSISTT program wrote a behavior goal targeting Student’s areas of need in social play, social interactions and initiation of interaction with peers. 53. Ms. Juarez explained that in finalizing the ASSISTT goal she addressed BECA’s proposed goals where relevant. Accordingly, she incorporated portions of NPA Goals five through nine. She did not incorporate NPA Goal one because Student had not demonstrated non-compliant or intolerant behaviors. NPA Goal three was not incorporated because there was no consistent demonstration of non-responsiveness to calls or commands and where it did occur Student would have appropriate supports to redirect him. NPA Goal four was not incorporated because the goal was based upon the concept of “Theory of Mind,” i.e. a child’s ability to know what another child is thinking or the ability to empathize with another’s thoughts and feelings, which in Ms. Juarez’s opinion was not applicable to a kindergarten level program. She did not incorporate NPA Goal ten because the goal required Student to direct or instruct his peers how to participate in an activity for 15 activities when, according to Ms. Juarez, Student could already perform the goal in seven activities and to increase the number of instructions was counterproductive to the IEP goal to further develop Student’s abilities to join in and initiate play. District considered the BECA proposed goals and incorporated portions of the goals to the extent appropriate to address Student’s areas of need. 54. Mother also testified that between August 2009 and April 28, 2010, Student made progress in his play skills and had joint attention play at home with his brother. She observed him initiate play on the playground at the neighborhood park. His communications had improved and he was better at answering questions in general. Mother did not testify that Student had regressed or lost any of the skills he had gained in this period of time. Despite improvement in these areas Mother remained concerned because he was still behind in communications, was not able to answer “wh” questions, was able to initiate peer interactions but not sustain them, still required prompting in self-help skills, such as brushing teeth and needed prompting for task completion. Mother also testified that Student attended Crossroads during the July 2010 ESY. She testified that summer school was more of a day care summer school as opposed to a school day and that he attended for two hours a day in order to maintain his peer interaction skills. She testified as a loving parent that her greatest desire for Student was for him to be independent and to be understood by his peers; however, she did not believe he was ready to attend kindergarten without one-to-one behavior support. She did not consent to the April 28, 2010 IEP because it did not include an offer of full time ABA trained aide support. 55. The IEP offer included placement in a general education kindergarten classroom at Lincoln; Group LAS-30 minutes once per week; Individual LAS-30 minutes once per week; Specialized Academic Instruction-consultation in the Learning Center-30 minutes three times per week; Group Behavior Intervention Services (BIS)-15 minutes weekly and Consultation Behavior Intervention Services-20 minutes twice per week. The IEP team described the general education kindergarten setting to Parents and the ASSISTT specialist explained the purpose and goal of the ASSISTT program. Student’s school day would begin at 8:20 a.m. and end at 1:50 p.m. The IEP offer noted that Student would participate in and receive all instruction and services in the general education classroom setting 96 percent of the school day and four percent of the day Student would be pulled out of class to receive direct LAS services. The IEP offer did not include ESY nor provide a one-to-one aide or home-based behavior support services. Parents disagreed with the offer and refused to consent to the IEP. 56. Mr. Alberding testified as Student’s expert on the need for Student’s services to be based on a traditional intensive ABA program model. He explained that Student still had significant deficits in social interaction, attending and language fluency. He criticized the ASSISTT behavior goal and baselines as immeasurable and inappropriate to address Student’s needs. He further explained that Student required an intensive ABA program in the general education classroom delivered by a one-to-one aide. He testified that the level of services BECA recommended would allow Student to be primed and prompted when opportunities presented for interaction with peers, initiating conversations, social play and attending. He opined that the IEP offer of group BIS for 15 minutes weekly and consultation BIS twice weekly for 20 minutes each session were inadequate and would not allow Student to access the curriculum and obtain meaningful educational benefit. He further opined that the failure to provide home-based ABA behavior support services as recommended also denied Student meaningful educational benefit. Mr. Alberding’s testimony was unpersuasive for the following reasons. He testified that the progress report issued following the annual IEP noted the behavior support services by BECA were further reduced and that he would not recommend more than the reduced hours for Student starting kindergarten. In addition, there is no evidence that Student was receiving intensive ABA one-to-one services including DTT by BECA aides nor was evidence of the aide’s qualifications produced at hearing. BECA’s reports that Mr. Alberding reviewed and approved in preparation for the April 28, 2010 IEP noted Student’s receptive and expressive identification skills had increased in all targeted areas including identifying by feature, function, and class, categories, prepositions, actions, pronouns, and emotions. BECA’s data showed an improvement overall in the area of socialization and play. Student was able to participate in group learning activities such as circle time, with little or no prompts. During circle time he was able to fully participate in songs and other group activities when he wanted to. He showed an increase in his play repertoire, the length of time in sustained engagement in play, the quality of peer interactions as well as decreased rigidity in play. 57. Dr. Freeman similarly testified. She was critical of District’s tendency to prefer an “eclectic program” methodology to an exclusively ABA-based program which, in her opinion, was proven to be successful in the treatment of children with autism. Dr. Freeman cited a research paper entitled “A comparison of intensive behavior analytic and eclectic treatments for young children with autism” from the journal Research in Developmental Disabilities, published in 2004 and she cited the 2001 report by the National Academy of Sciences, Educating Children with Autism (Committee on Educational Interventions for Children with Autism, Division of Behavioral and Social Sciences and Education, Washington D.C; National Academy Press). She agreed with the reports findings that without early intervention, children with autism have only limited progress, and children who receive appropriate intensive intervention can significantly progress. She had not seen Student since May 2009, and did not see him again until several months after the April 28, 2010 IEP. She had reviewed the BECA progress reports and remarked that Student had progressed since her May 2009 assessment. She agreed with the offer of placement in a general education kindergarten class but not without one-to-one behavior support by a qualified aide trained to work with children with autism and supervised by an ABA trained individual. She was critical of the failure to offer ESY because based upon the research, Student required continued reinforcement of skills to avoid regression. She was equally critical of the IEP goals because she believed they were not written for mastery of skills but only prompt dependence. She was also critical of the group BIS 15 minutes per week and consultation BIS 20 minutes twice weekly offered in the IEP. While she agreed the ultimate goal for Student was independence, she opined that in Student’s case because he missed out on early intervention he would continue to need intensive ABA-based behavior supports to address, on an ongoing basis, his social skills deficits, for at least the next few years both in school and at home. Further though she had not observed BECA’s program with Student in the relevant time period she agreed with and supported BECA’s service recommendations. Dr. Freeman’s opinions regarding the appropriateness of the April 28, 2010 IEP offer were not persuasive because she last interacted with Student in May of 2009, prior to the April 2010 IEP, and the evidence at hearing showed that Student had made improvements in all areas and was functioning well in a classroom and accessing the curriculum without a constant, formal ABA program. In addition the research upon which Dr. Freeman relied was not based upon the requirements of the Individuals with Disabilities in Education Act, but rather what the authors of the study recommended would be the optimum or best program and services for the treatment of a child with autism. 58. District disputed Student’s experts’ conclusions. Ms. Juarez testified that the ASSISTT services, which were based in part on ABA principles, would be provided either by her, an educational assistant, or both in the classroom setting. Group BIS would be implemented during recess, lunch and unstructured time and would consist of either active or passive support to Student in his socialization with peers, including language support. Consultation BIS would occur in the classroom setting. Implementation of the goal/services involved consulting with Student and/or the paraeducator and teacher during social opportunities to work with and observe Student. Consultation would also involve discussions with his teachers on how to best support Student in the classroom. Ms. Juarez added that ASSISTT would work with Student on other non ASSISTT goals, e.g. the Learning Center goals, where social opportunities were presented. Ms. Juarez credibly testified that Student would receive the necessary supports in the classroom provided by the ASSISTT paraeducator who would also be present for data collection, giving prompts and providing opportunities for reinforcement. She also testified that the goal was written to develop Student’s independence and to maintain skills he currently had rather than to develop new ones at the kindergarten level. Ms. Jaurez opined that while social interaction and initiation of play were Student’s greatest areas of deficit he was academically on par with his peers, had mastered a number of social skills goals, was greatly improved in his peer interactions, he actively engaged in play activities and in classroom activities sufficiently such that he did not need the support of a one-to-one aide to access the curriculum. 59. Regarding BECA’s and Dr. Freeman’s recommendation for home-based behavior services, Ms. Jaurez further testified that ASSISTT provided home-based services where a child required DTT. She explained that DTT was designed to teach skills which children are not accessing during the school day and that based upon her expertise and the information available at the time of the IEP, Student had already demonstrated mastery of numerous social skills, thus his level of need and his deficits were not that great. Ms. Juarez stated that in Student’s case District’s focus was to generalize his behaviors in the school setting and not in the home. Ms. Juarez also added that the goal as written did not require home-based services; however, the ASSISTT program could provide home-based services when necessary. Based upon her observations, review of the data and reports upon which she relied in developing the behavior goal, Student did not presently require home-based services to access his education and achieve educational benefit. 60. Dr. Freeman’s opinion that Student required ESY is not supported by the evidence. There was no evidence of regression or the likelihood of regression from the initial IEP to the April 28, 2010 IEP that would have warranted District making an offer of ESY. 61. Based upon District observations, assessments, BECA progress reports, and other independent reports, the evidence supports a finding that Student did not engage in any behaviors at the time of the April 28, 2010 annual IEP that significantly impacted his ability to access the curriculum and make reasonable progress on the goals and objectives given the supports and services designated in the IEP offer. 1. As the petitioning party, Student has the burden of proof on all issues. (See Schaffer v. Weast (2005) 546 U.S. 49, 56-62 [126 S.Ct. 528, 163 L.Ed.2d 387].) . 2. Student contends that after District determined Student eligible for special education services as a child with autistic-like behaviors that District was required to provide Student with sufficient ABA-based behavior support and services to address his significant social skills deficits. Specifically, District did not offer adequate behavioral support to allow Student meaningful educational benefit in a general education classroom setting. District was required to provide Student with a trained one-to-one aide qualified to work with children with autism or to be supervised by an NPA experienced in working with children with autism for his transition into kindergarten. Student also contends that the April 28, 2010, IEP offer denied Student a FAPE because it offered no home-based behavior support services. Student asserts that in order to remediate those deficits that cannot be addressed solely in the classroom setting he is entitled to home-based behavior support services by a qualified full time one-to-one aide supervised by a NPA like BECA. 3. District contends that the April 28, 2010, IEP provided Student a FAPE by offering an appropriate school-based behavior support program that was calculated to confer upon Student meaningful educational benefit and District was not required to offer a home-based behavior support program. 6. To determine whether a school district substantively offered FAPE to a student, the adequacy of the school district’s proposed program must be determined. (Gregory K. v. Longview School District (9th Cir. 1987) 811 F.2d 1307, 1314.) Under Rowley and state and federal statutes, the standard for determining whether a district’s provision of services substantively and procedurally provided a FAPE involves four factors: (1) the services must be designed to meet the student’s unique needs; (2) the services must be reasonably designed to provide some educational benefit; (3) the services must conform to the IEP as written; and (4) the program offered must be designed to provide the student with the foregoing in the least restrictive environment. If the school district’s program was designed to address the student’s unique educational needs, was reasonably calculated to provide the student with some educational benefit, and comported with the student’s IEP, then the school district provided a FAPE, even if the student’s parents preferred another program and even if his parents’ preferred program would have resulted in greater educational benefit. However, to meet the level of educational benefit contemplated by Rowley and the IDEA, the school district’s program must result in more than minimal academic advancement. (Amanda J. v. Clark County School Dist., et al. (9th Cir. 1996) 267 F.3d 877, 890.) Furthermore, educational benefit in a particular program is measured by the degree to which a student is making progress on the goals set forth in the IEP. (County of SanDiego v. California Special Education Hearing Office, et al. (9th Cir. 1996) 93 F.3d 1458, 1467. Neither the parties nor the hearing officer dispute the fact that the Lovaas program which Appellants desired is an excellent program. Indeed, during the course of proceedings before the hearing officer, many well-qualified experts touted the accomplishments of the Lovaas method. Nevertheless, there are many available programs which effectively help develop autistic children. See, e.g., E.R. Tab 9; Dawson & Osterling (reviewing eight effective model programs). IDEA and case law interpreting the statute do not require potential maximizing services. Instead the law requires only that the IFSP in place be reasonably calculated to confer a meaningful benefit on the child. 12. As was stated in Legal Conclusions 6 through 8 to determine whether a school District’s program offered a student a FAPE, the focus must be on the adequacy of the District’s proposed program, and an IEP is evaluated in light of information available to the IEP team at the time it was developed; it is not judged in hindsight. 13. Here the Student has failed to prove that he required an ABA school-based program, an ABA trained one-to-one aide to support his transition to general education kindergarten, and that the behavior support services offered in the in the April 28, 2010, IEP were inappropriate and inadequate for the following reasons. 14. Ms. Fisher, Ms. Weiner, Ms. Dogiewiscz, and Ms. Juarez, observed Student in March 2010, and reviewed the BECA February 4, 2010 quarterly report in preparation for the April 28, 2010 IEP. Ms. Fisher testified that she observed Student at Crossroads. While there she saw Student participate in circle time, snack, and outside time. Ms. Fisher observed that Student was able to participate in classroom activities and had little difficulty communicating with peers and his communication was not facilitated. She noted that he was able to perform classroom activities independently and she further noted on the day of her observation that no aides were in the classroom as they were reviewing data. She saw a BECA aide redirect his play on the playground but did nothing further. She concluded that Student still needed some prompting but overall had shown mastery of numerous social skills that he was appropriate for kindergarten. Ms. Weiner testified that on the day of her observation she saw a BECA aide assist Student with an art project. She saw no noncompliance or behavior issues from Student. She concluded that Student was appropriate meaning he was on task, sufficiently independent, and participating in the classroom, needed little assistance and was familiar with class routine. Ms Dogiewiscz observed Student in the classroom setting tracing letters, singing songs, and retrieving reading materials. She saw Student perform these activities independently. A BECA aide was present that day. According to Ms. Dogiewiscz the aide intervened once to assist Student at the end of a rug time activity. Other than this one activity the aide remained seated during her observation. Based upon her observation Student was appropriate for a general education setting without a one-to-one aide. Ms. Juarez, who wrote the ASSISTT behavior goal, testified that she saw Student for one hour at Crossroads. She saw him on the playground, in the classroom, in a group setting, at rug time and group circle time but she did not see him at play. She saw him communicate with his teacher, and interact with his one-to-one aide who occasionally prompted him. She observed that Student was engaged, on task in the classroom activities, and required no additional support or token economy system to address his behavior or to access his education. She concluded that as compared to several other students in the classroom Student was appropriate and ready and could achieve educational benefit in a general education classroom setting without a one-to-one aide. Each of these witnesses credibly testified that Student had sufficient skills to attend kindergarten without the assistance of a one-to-one aide but instead with supports provided by District. Based upon Student’s overall abilities, continued mastery of social skills, and his ability to adapt to class routines the fact that the witnesses may have not observed Student in extended social play does not diminish their conclusions that the behavior services and supports offered in the April 28, 2010, IEP were appropriate. 15. The April 23, 2010 BECA progress report further established that Student had improved in all areas of deficit and Student was able to act in the classroom setting independently in several respects. The progress report also showed that Student had improved in his interactions and social play during unstructured time. The District IEP team considered the report and District’s staff observations of Student in developing goals and services for Student. 16. Ms. Juarez testified extensively about the ASSISTT program and how Student would benefit. First the program was designed based, in part, on ABA principles. The team was staffed by Ms. Juarez and other behavior analysts, credentialed special education teachers, and paraeducators who provided inclusion support and direct services for children with autism and children with other moderate to significant disabilities who are included in District’s general education classrooms. ASSISTT staff was required to be trained in research-based educational, behavioral, and social approaches, including ABA, DTT, and Social Skills Training. Mandy Juarez testified that the ASSISTT services, which were based in part on ABA principles, would be provided either by her, an educational assistant, or both in the classroom setting. Group BIS would be implemented during recess, lunch and unstructured time and would consist of either active or passive support to Student in his socialization with peers, including language support. Consultation BIS would occur in the classroom setting. Implementation of the goal/services involved consulting with Student and/or the paraeducator and teacher during social opportunities to work with and observe Student. Consultation would also involve discussions with his teachers on how to best support Student in the classroom. Ms. Juarez added that ASSISTT would work with Student on other non-ASSISTT goals, e.g. the Learning Center goals, where social opportunities were presented. Ms. Juarez credibly testified that Student would receive the necessary supports in the classroom provided by the ASSISTT paraeducator who would also be present for data collection, giving prompts and providing opportunities for reinforcement. She also testified that the goal was written to develop Student’s independence and to maintain skills he currently had rather than to develop new ones at the kindergarten level. Ms. Jaurez opined that while social interaction, initiation of play, and communication were Student’s greatest areas of deficit he was academically on par with his peers, had mastered a number of social skills goals, was greatly improved in his peer interactions, he actively engaged in play activities and in classroom activities sufficiently such that he did not need the support of a one-to-one aide to access the curriculum. 17. Dr. Freeman, Mr. Alberding, and Mother testified that the IEP offer of Group BIS and Consultation BIS was inappropriate because Student needed an intensive ABA-based behavior support program with one-to-one aide support to facilitate and assist Student in social interaction, initiation of play, and communication with peers. Their testimony was unpersuasive. Student presented no evidence that BECA actually provided an intensive ABA program to Student. Student’s aides did not testify, nor is there evidence of their qualifications. BECA aides were observed by District staff collecting data, priming and prompting Student and nothing else. There is no evidence that BECA aides ever provided an intensive one-to-one behavior intervention program to Student in the classroom. Moreover, Dr. Freeman’s testimony that Student required a more intensive program with more hours and the support of a one-to-one aide for at least the next two years was unpersuasive because her testimony was not based upon the requirements of a FAPE which would govern District’s IEP offer. In addition, Student presented no evidence that the research upon which Dr. Freeman relied in forming her opinion was based upon the requirements under the IDEA. Rather, Dr. Freeman’s opinion suggests that District is required to provide the best optimum program and services available for the treatment of a child with autism which is not the legal standard. Second , Mother’s testimony that she had seen improvement overall in Student’s performance, but she still desired a one-to-one support aide and ABA program is not persuasive because if the school district’s program was designed to address the student’s unique educational needs, was reasonably calculated to provide the student with some educational benefit, and comported with the student’s IEP, then the school district provided a FAPE, even if the student’s parents preferred another program and even if his parents’ preferred program would have resulted in greater educational benefit. 18. The testimony of Mr. Alberding and Dr. Freeman concerning the inadequacy of District’s IEP offer because it failed to offer home-based behavior support services are also unpersuasive. As discussed in Legal Conclusion 17 above, it is not clear what type of services BECA provided Student at home. Second, the only basis for Dr. Freeman’s suggestion that Student needed on-going support in the home was based on the same research she relied on for her opinion concerning the level of school-based ABA services Student required to receive a FAPE. In contrast, Ms. Juarez credibly testified that ASSISTT provided home-based services where a child required DTT. She explained that DTT was designed to teach skills which children are not accessing during the school day and that based upon her expertise and the information available at the time of the IEP, Student had already demonstrated mastery of numerous social skills thus his level of need and his deficits were not that great. Ms. Juarez stated that in Student’s case, District’s focus was to generalize his behaviors in the school setting and not in the home. Ms. Juarez also added that the goal as written did not require home-based services; however, the ASSISTT program could provide home-based services when necessary. Based upon her observations, review of the data and reports upon which she relied in developing the behavior goal, Student did not presently require home-based services to access his education and achieve educational benefit. 19. Finally, District has the right to select a program and/or service provider for a special education student, as long as the program and/or provider are able to meet the student’s needs. IDEA does not empower parents to make unilateral decisions about programs funded by the public. Parents unilaterally selected BECA to provide behavior support services without regard to District’s ASSISTT program and District is not bound to provide NPA services to Student where it is able to do so. 20. At hearing Student sought to prove by testimony concerning the terms of the December 2009 Settlement Agreement reached in a prior complaint, that District had not complied or could not comply with the terms of the Agreement that provided for a District-trained aide to serve as a one-to-one behavior aide for the 2010-2011 school year, and that the only appropriate remedy is for OAH to award Student a one-to-one behavior aide trained by an NPA such as BECA. Student made no such claim in the complaint. Pursuant to Education Code Section 56502, subdivision (2)(D)(i), issues not raised in the complaint may not be raised at hearing unless the parties otherwise agree. Even if Student raised the issue in the complaint, Student has only made a claim for enforcement of the Settlement Agreement which falls outside OAH’s jurisdiction. (See Wyner v. Manhattan Beach Unified School Dist. (9th Cir. 2000) 223 F.3d 1026, 1029-1030.) Moreover, the evidence concerning the qualifications of District’s behavior aide assigned to Student under the terms of the Settlement Agreement in the fall semester of the 2010-2011 school year is not relevant to prove that that April 28, 2010 IEP did not offer a FAPE. Invoking the “snapshot rule” an IEP is evaluated in light of information available to the IEP team at the time it was developed, i.e., that District’s ASSISTT program would provide trained aides supervised by qualified behavior support staff to support Student in the classroom and during unstructured time by providing prompting, priming, and redirecting Student where needed and collecting data to make appropriate adjustments to Student’s program where needed. 22. Student contends that the failure to include proposed NPA goals in the April 28, 2010 IEP denied Student a FAPE because the resulting IEP goals and services were insufficient to meet Student’s behavior support needs. District contends that it was not required to adopt or include NPA behavior goals in the April 28, 2010 IEP because Student did not engage in any behaviors at that time that significantly impacted his ability to access the curriculum and receive educational benefit. District asserts that nevertheless BECA’s proposed goals were considered and addressed in the IEP. District also contends that the supports and services offered in the IEP were appropriate to meet Student’s unique needs and provided a FAPE. 24. Here, Student has failed to prove that District’s behavior goals and services were inappropriate and that District failed to address and incorporate the proposed BECA goals thereby denying Student a FAPE based on the following. 26. Ms. Juarez explained that in finalizing the ASSISTT goal she addressed BECA’s proposed goals where relevant. Accordingly, she incorporated portions of NPA Goals five through nine. She did not incorporate NPA Goal one because Student had not demonstrated non-compliant or intolerant behaviors. NPA Goal three was not incorporated because there was no consistent demonstration of non-responsiveness to calls or commands and where it did occur Student would have appropriate supports to redirect him. NPA Goal four was not incorporated because the goal was based upon the concept of “Theory of Mind,” i.e. a child’s ability to know what another child is thinking or the ability to empathize with another’s thoughts and feelings, which in Ms. Juarez’s opinion was not applicable to a kindergarten level program. She did not incorporate NPA Goal ten because the goal required Student to direct or instruct his peers how to participate in an activity for 15 activities when, according to Ms. Juarez, Student could already perform the goal in seven activities and to increase the number of instructions was counterproductive to the IEP goal to further develop Student’s abilities to join in and initiate play. District considered the BECA proposed goals and incorporated portions of the goals to the extent appropriate to address Student’s areas of need. Ms. Juarez’s testimony was persuasive and establishes that District considered and addressed the proposed NPA goals where appropriate. 28. Student contends that because it is generally understood that autistic children such as Student require services on a year round basis in order to avoid regression he was denied a FAPE when the April 28, 2010 IEP failed to offer Student a program and services for the July 2010 ESY. District contends that there was no requirement to offer Student a program and services for the July 2010 ESY because there was no evidence of regression presented at the April 28, 2010 IEP team meeting. 30. For the reasons discussed in Factual Findings 54, and 56-57 and Legal Conclusions 5 through 9, and 29, Student presented no persuasive evidence that District was required to offer ESY for 2010 to Student. The evidence points to the contrary conclusion. The BECA progress reports of December 2009, February 2010 and April 2010 gave the snapshot of a student who had made substantial progress and improvement in his areas of need and though Student still required improvement in specific areas of deficit that alone was not evidence that Student was likely to regress. 31. The testimony of Ms. Fisher, Ms. Dowgiewiscz, Ms. Weiner and Ms. Juarez was that Student’s attention, interaction, social play skills continued to improve over a one year period leading up to the April 28, 2010, IEP. Based upon their observations and progress reports Student appeared to be on task and engaged during classroom instruction and most other activities. 32. Student presented no evidence that anyone at the April 28, 2010 IEP meeting alerted District that Student was losing ground and was in danger of regressing without ESY. Mother’s testimony was to the contrary. She testified to Student’s improvement and the concerns she raised at the IEP meeting were focused on the offer of placement and supports for the 2010-2011 school year and did not include her concern that he would regress if not offered ESY in 2010. 34. Student finally contends that the April 28, 2010 IEP failed to offer a placement in the least restrictive environment. Specifically, Student contends that the offer of DIS services of 90 minutes per week of specialized academic instruction consultation with the Learning Center had the effect of isolating Student from his class and deprived Student of the right to be educated in the general education setting to the maximum extent appropriate with nondisabled peers. District contends that the IEP offered appropriate placement and DIS services and the only service that would remove Student from his class was when Student was pulled out for 30 minutes of LAS. District also contends that Student’s request for a one-to-one aide in the general education classroom setting is not the LRE but in fact is more restrictive. As discussed below, the IEP offered Student an appropriate placement in the least restrictive environment and Student is not entitled to relief for his claims. 37. It is undisputed that the IEP offer of placement in a general education kindergarten at Lincoln Elementary is the LRE. Here, Student alleges not that he was placed in the wrong classroom setting but that the DIS services in specialized academic instruction offered in the IEP were unnecessary because academics was a relative strength of Student. Student argues that the DIS service of Learning Center consult in mathematics and language arts would remove Student from the classroom for 90 minutes a week, thereby isolating him from his typical peers. Student is incorrect. 38. First the assessments identified an area of need in pre-academics particularly that Student had a weakness in mathematics and writing. Susan Weiner, Learning Center teacher testified that she wrote the goals to address this need. The IEP offer designates the classroom as the place for delivery of these services on a consultation basis. Moreover, the evidence shows that Student was included 98 percent of his day in the general education class and two percent of the day he was pulled out was for receipt of LAS only because Student needed direct intervention to meet his speech goals. It is also incongruous that Student would argue for 25 hours of one-to-one behavior services in the form of an intensive ABA-based behavior program in the general education classroom setting which, in this case, would isolate Student and deprive him of being educated with his non-disabled peers to the maximum extent appropriate. Education Code section 56507, subdivision (d), requires that this Decision indicate the extent to which each party prevailed on each issue heard and decided in this due process matter. Pursuant to this mandate, it is determined that District prevailed on all issues.